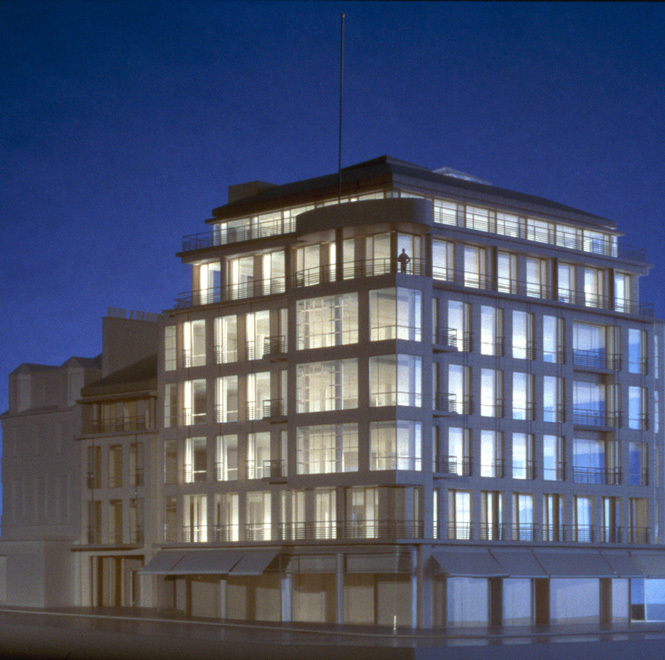 This 65,000 square feet office and retail development is located on the corner of Princes and Castle Street in Edinburgh’s 18th century New Town. A fire destroyed the site’s previous buildings: a listed Georgian house and an undistinguished Victorian hotel. The ground floor property is divided among the six original retail owners. The design utilizes the complete site by reconfiguring the original ownerships into a more efficient layout. 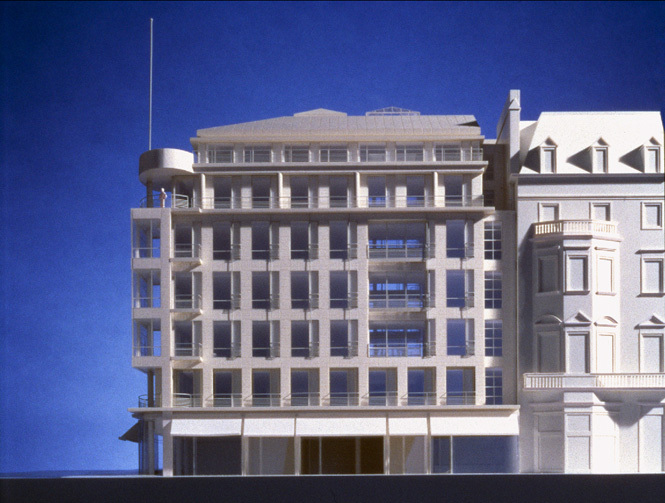 THD, owners of the upper office floors, are located on the ground floor property previously occupied by the Georgian house. The office entry and core are located within this zone. While maintaining their original shop front widths, the properties of five other owners are increased to occupy the remaining areas. The entry lobby’s skylit rotunda introduces the office block’s entry axis and six-floor atrium. Above the initial office floor, glass elevators and the glazed atrium provide expansive views of the firth to the north and the castle to the south.